Bishop (formerly Bishop Creek) is a city in Inyo County, California, United States. Though Bishop is the only incorporated city and the largest populated place in Inyo County, the county seat is located in Independence. 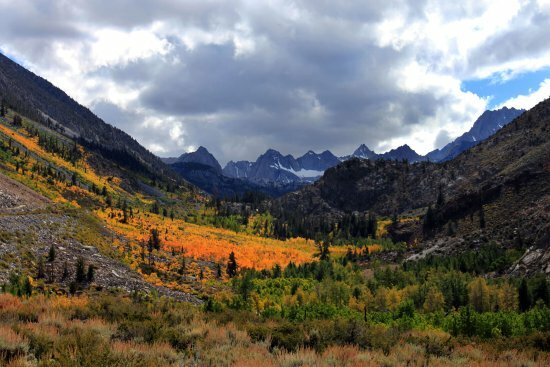 Bishop is located near the northern end of the Owens Valley, at an elevation of 4,150 feet (1,260 m). The town was named after Bishop Creek, flowing out of the Sierra Nevada; the creek was named after Samuel Addison Bishop, a settler in the Owens Valley. Located near numerous tourist attractions, Bishop is a major resort town; the town is a commercial and residential center, while many vacation destinations in the Sierra Nevada are located nearby.